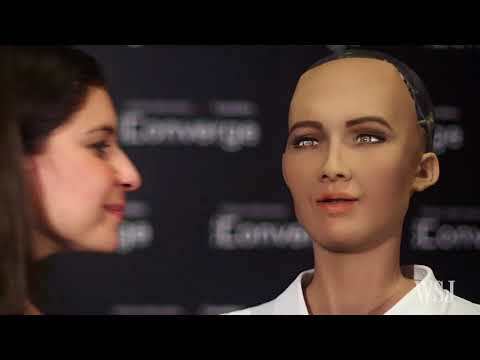 Sophia is a realistic humanoid robot capable of displaying humanlike expressions and interacting with people. 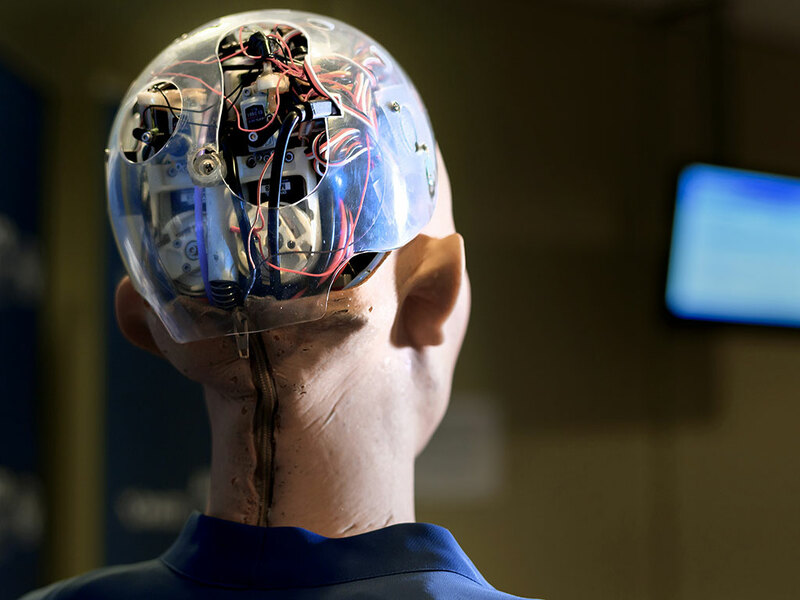 It's designed for research, education, and entertainment, and helps promote public discussion about AI ethics and the future of robotics. Sophia has become famous all over the world. 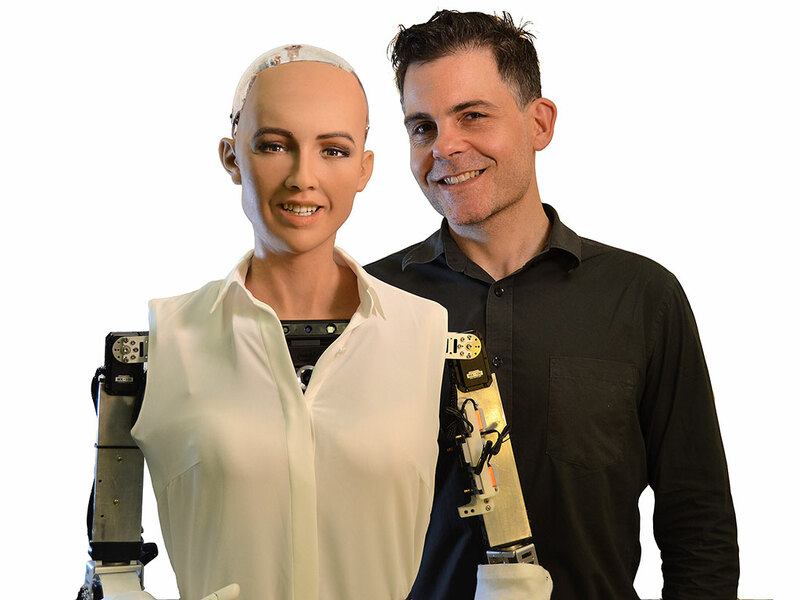 Sophia and its creator, David Hanson. Sophia uses a special skin material called Frubber. 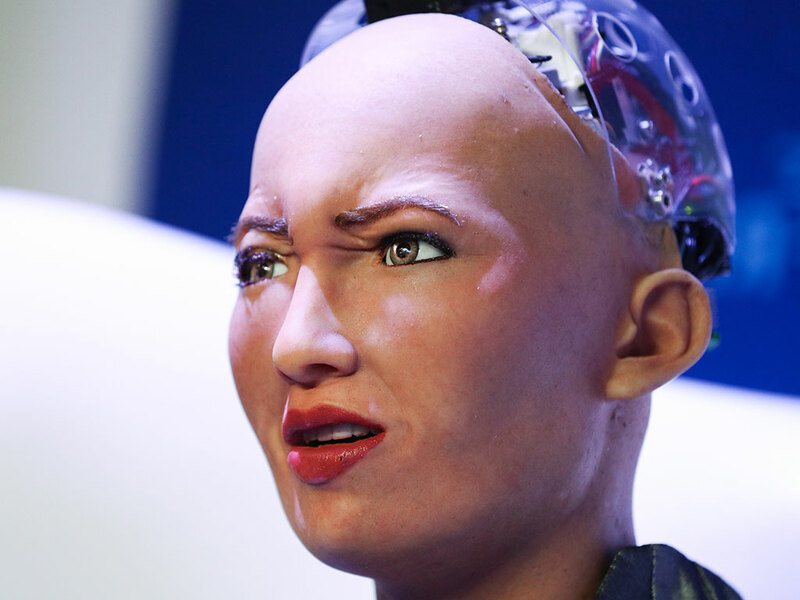 Sophia has over 30 motors in its head. 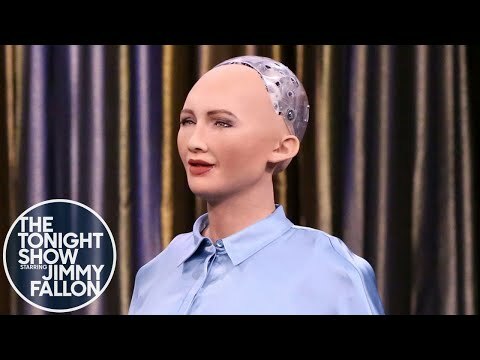 Sophia and Jimmy Fallon sing a duet. Sophia had a busy year. Sophia at the United Nations. In 2017, the Saudi Arabian government granted Sophia honorary citizenship, an announcement that took Hanson Robotics totally by surprise. 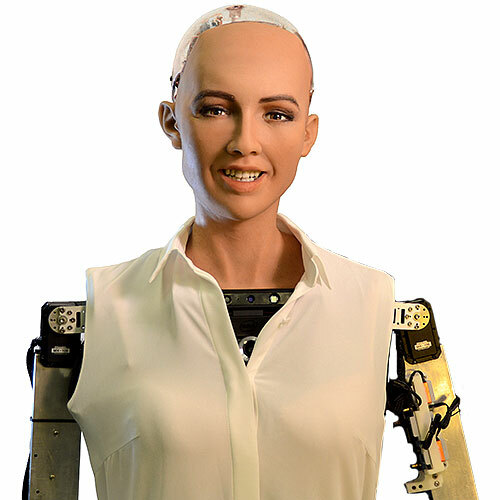 Sophia's creator David Hanson designed the robot in the image of two people: his wife and the late actress Audrey Hepburn. 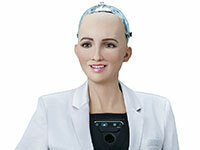 Hanson Robotics says Sophia is a "human-crafted science fiction character depicting where AI and robotics are heading." Sophia has met numerous celebrities, including Will Smith and Jimmy Fallon. Sophia has traveled to over 25 countries. 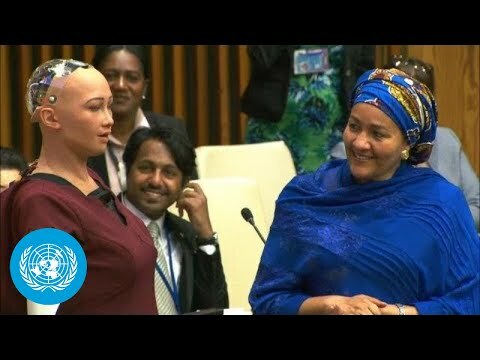 In November 2017, Sophia became the first non-human to be named "Innovation Champion" by the United Nations Development Programme. 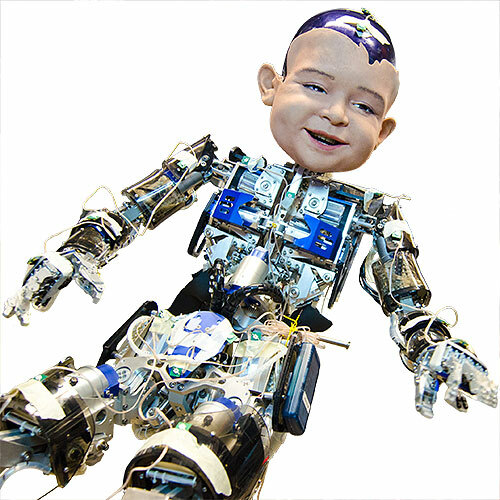 Able to display an array of complex and emotional expressions. 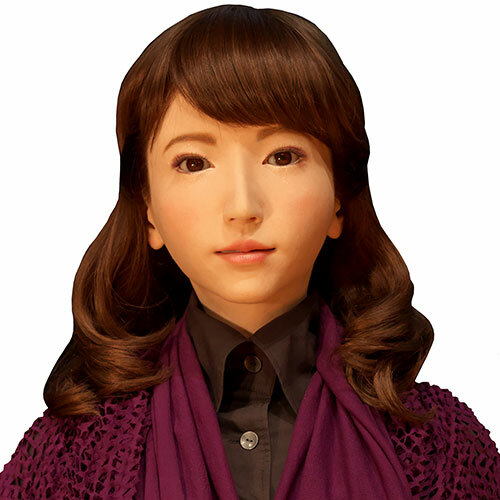 Equipped with natural language processing and speech, facial recognition, visual tracking, and other AI-based behaviors. Custom wide-angle 1080p chest camera. Intel RealSense camera. Two custom 720p HD cameras (one for each eye). External USB microphone. 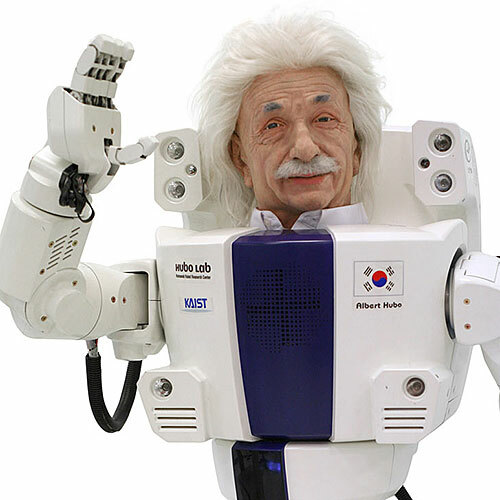 Joint angle sensors and force sensors in arm joints. Touch sensors in fingers. Audio localization array. Inertial measurement unit (IMU). Head and face: Five Dynamixel XM430 servos and 23 Xpert servos. Eyes: Two Hitec HS-65MG servos. Neck: Three Dynamixel XM430 servos. Arms and hands: Two Dynamixel MX64 servos, one Dynamixel MX106 servo, four Dynamixel XM430 servos, six Xpert servos, and two MKS servos (per arm/hand). 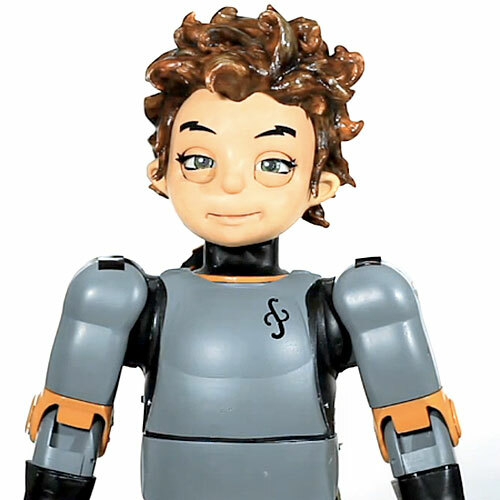 Frubber (actuated skin), carbon fiber, CNC aluminum, steel, Spectra fiber, Delrin thermoplastic, acrylic, polycarbonate, 3D-printed parts, and other mixed media.